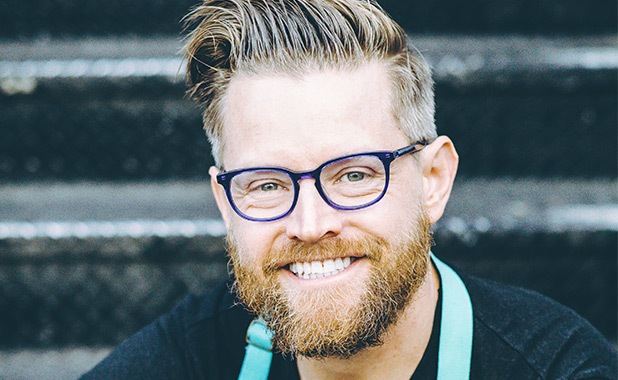 Richard Blais is a successful chef, restaurateur, James Beard–nominated cookbook author, and television personality. Perhaps most recognizable as a recurring judge on Bravo’s Top Chef and winner of Top Chef All-Stars, Blais grew up on Long Island working as a “poissonier” at McDonald’s. It was here where he first dabbled in deconstruction in cuisine, serving Filet-O-Fish sandwiches sans top bun. Blais went on to graduate from the Culinary Institute of America and train at The French Laundry, Daniel, Chez Panisse, and elBulli. Blais currently owns and operates Trail Blais, a forward-thinking culinary company that has consulted on, designed, and operated multiple popular eateries. In San Diego, Blais is a partner at the popular Juniper & Ivy and Crack Shack restaurants, which is expanding to multiple locations throughout California. Blais is a James Beard Award–nominated author of Try This at Home: Recipes From My Head to Your Plate, and his second cookbook, So Good, was released in May 2017 (Houghton Mifflin Harcourt). In addition, Blais recently launched a podcast entitled “Starving for Attention,” which provides an entertaining, behind-the-scenes look into the food industry and has featured guests such as Wylie Dufresne, Michael Voltaggio, Andrew Zimmern, Gail Simmons, Lou Diamond Phillips, and more. He resides in San Diego with his wife, Jazmin, and their two daughters, Riley and Embry. When not behind the stove, Blais may be found training for his next marathon, recording an upcoming podcast, or cheering on his favorite English Premier League soccer team.